This is fresh and simple. Vanilla mixed with fruit, fresh not dried. Maybe it is a mixture of apples and pears. But one thing is sure: The summer is arriving. Perfect for a party in the garden with crocket, petanque etc. The taste is actually more powerful than I expected. Fresh with notes of spices and dried fruits. The finish is rather pale though. A bit (or much) higher ABV and/or a longer finish in the sherry casks would have done wonders for this whisky. This is a good standard whisky from a very good distillery. 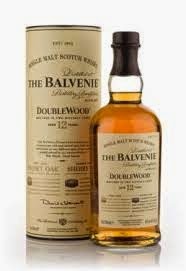 I will give this whisky 84/100 (20/22/21/21).